This design was inspired by the colors of classic delftware pottery. To add interest to your version, use a wide variety of blue fabrics, from light to dark, for the assorted squares in the sashing and 2nd border. Use an accurate G˝ seam allowance throughout construction, so the pieced border fits well. 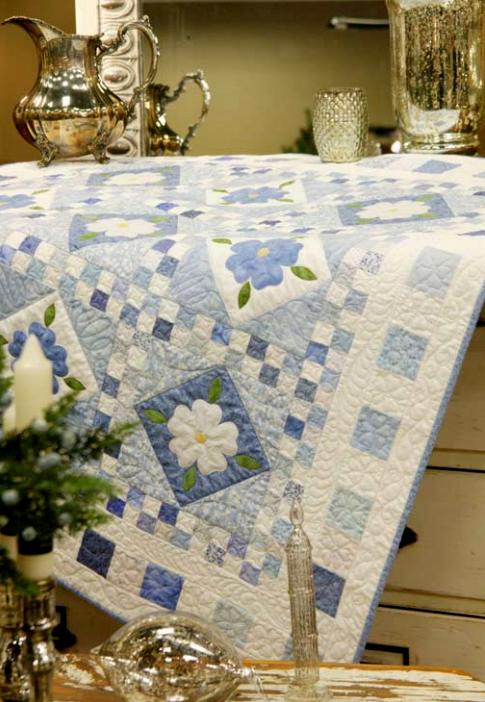 The Blue Delft Quilt Adapted from a Design by Cheryl Almgren Taylor for Quilting Company.